This is a week of hardware-software startups’ on GoalEurope, and both of them are using LEDs. A few days ago we covered Kino-mo, a developer of 3D displays creating holography effect that will arguably disrupt the outdoor ads market. Today the newsworthy event is coming from Ukraine where Concepter startup raised 3.5 times more funds from Kickstarter backers than they initially asked for. In fact, they reached the funding goal in just three days: 3,421 backers pledged $253,578. This is to support the manufacturing and commercialization of the second edition of the iblazer flash for smartphones and tablets (and I truly regret I haven’t had one of those to take pictures for the Kino-mo post). 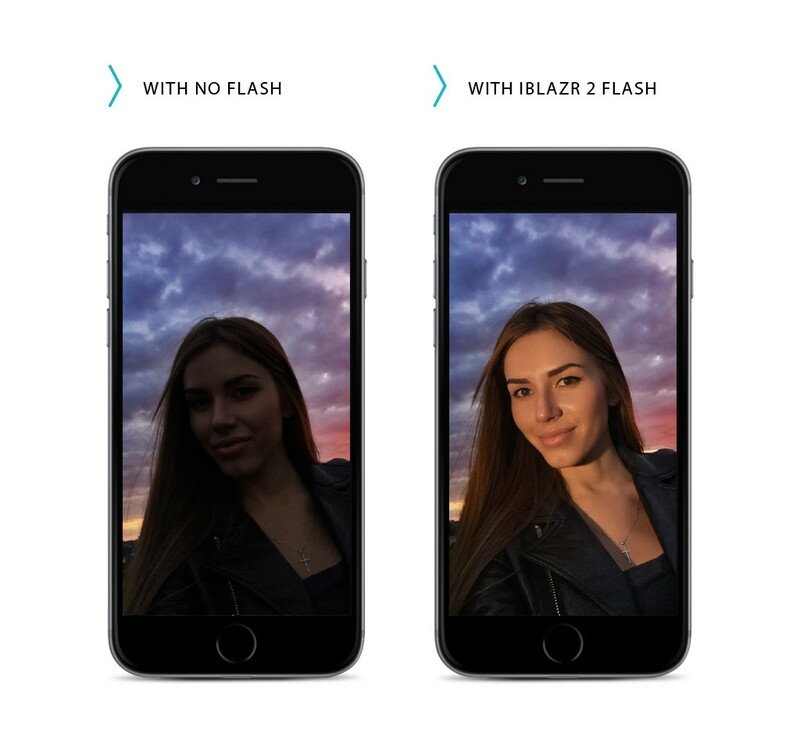 The first iblazr flash for smartphones came out 2 years ago and they also financed product launch through with the help of Kickstarters, and GoalEurope listed them among Top 10 most promising Ukrainian startups back then. As they explicitly put it, «we never accepted outside investments and why we remain 100% focused on product development and expansion» because «we are a small team that is truly passionate about what we do.» In fact, they say to have incorporated all the feedback and feature requests to improve the original product, which itself is quite successful. The first version of the product is used by more than 20,000 people and is marketed in more than 45 countries via online and physical stores, including Apple Stores, Best Buy and Walmart. 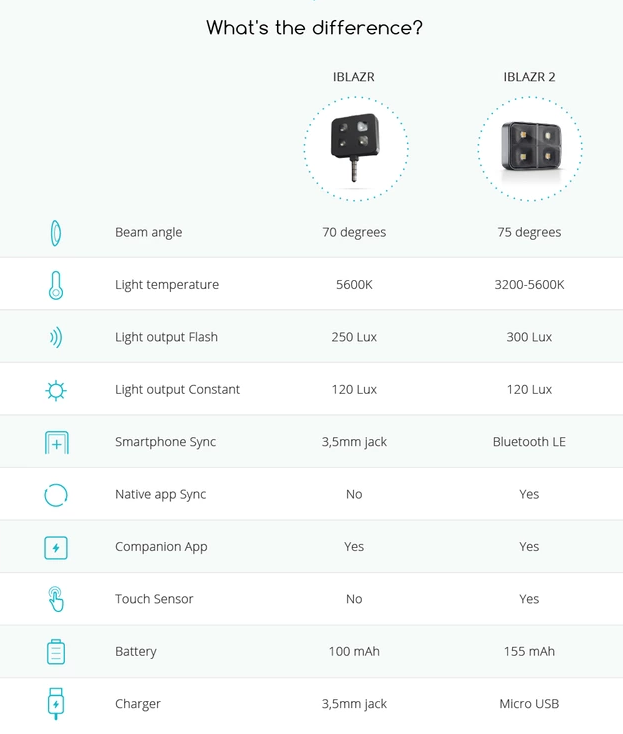 The new iblazr2 connects to the smartphone via Bluetooth LE, and is fully synced with native camera apps of Android and iOS devices. It has 4 powerful LEDs allowing to shooting professional looking pictures and videos in low-light. There is also a touch sensor that lets the user to fine-tune the light color temperature from 3,200K to 5600K. According to feedback on Kickstarter, some users have experienced problems with recharging the first version iblazr, and Concepter reassured that they found a new battery production facility for iblazr2 and would perform specific control over the quality of this component. Moreover, Concepter is coming up with a new Shotlight app compatible with both iblazr editions, with iOS release scheduled for July, and Android for August. Unlike many other photo editing apps, Shotlight will allow to manually adjust camera and flash settings, such as ISO, focus, white balance and exposure before the shooting. As Vlad Tislenko, the CEO and founder of Concepter, commented on the crowdfunding campaign success to AIN.UA, they already have a plan for distributing the collected funds. The lion’s share of the money will be spent on launching the manufacturing of the first batch. 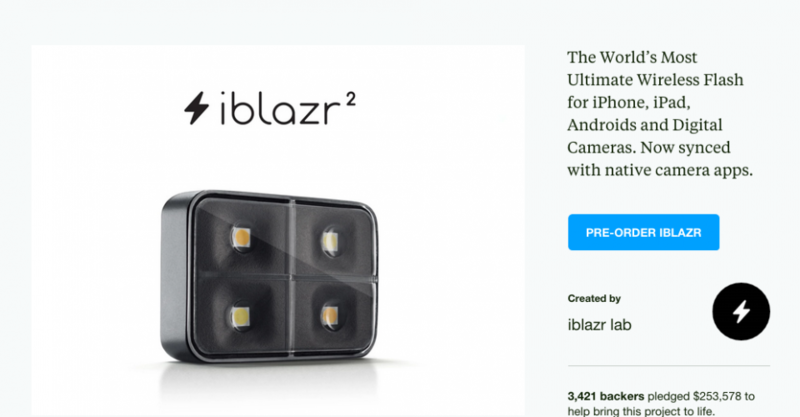 The proceeds will suffice to produce 4,000 iblazr2 units for Kickstarter backers and to satisfy the primary demand from retail. By the way, the supporters of the project will have their devices for $45-49, while the expected retail price is set to $70. If the success is to be measured by the existence of copycats, iblazr certainly enjoys it. Starting from January illegal copies of the device could be found in Chinese online stores, including Alibaba. Sometimes they even replicate the logo and the hull shape.